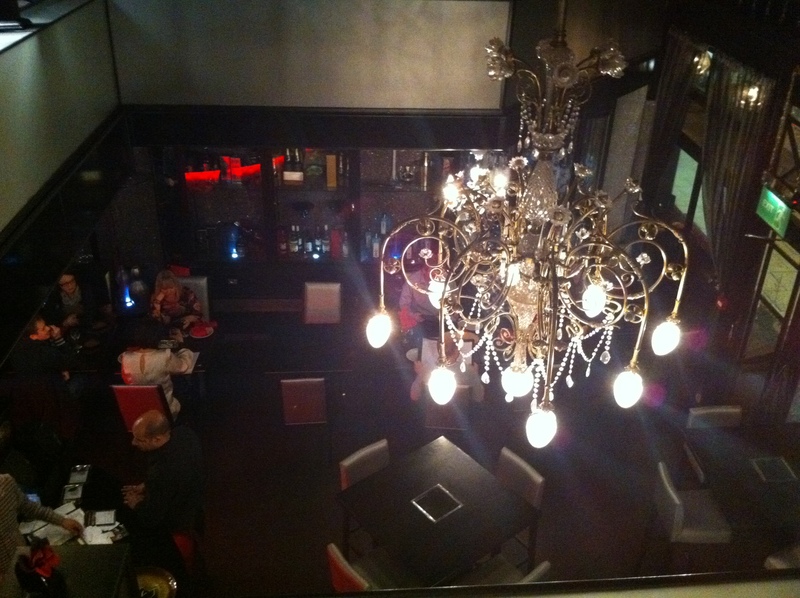 There can few better surroundings in which to eat a curry than Am Kitchen and Bar. There’s the pay-through-the-teeth grandeur of legendary place like London’s Veeraswamy, of course, or the feet-in-the-sand style of Karma Café in Goa, but right here in the centre of Leeds there is a gem of a curry house. Based in a former watchmakers, the property is a Listed Building boasting two levels with a large open well in the middle where you can look down on diners below, beautiful chandeliers, and a mind-boggling amount of intricate glass work panels and display cabinets. The necessary contemporary elements needed to operate a restaurant are incorporated into the space well, in particular the way the light grey high-backed chairs offset the dark wood of the tables. 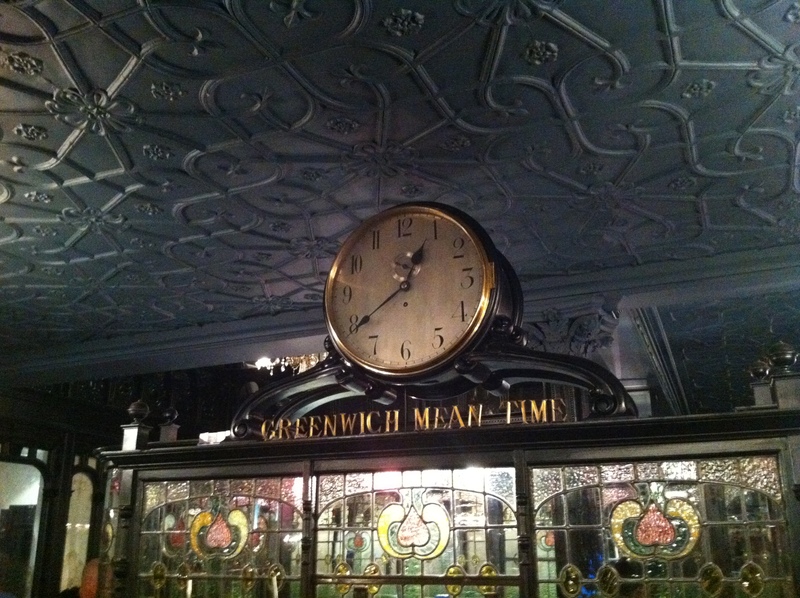 But best of all for the Greenwich Curry Club is a superb Greenwich Mean Time clock that takes centre stage over the bar that faces the entrance. It’d be easy to get distracted from the main reason for being here, yet the Chicken Balti (with extra garlic as requested) delivered that beautiful fresh taste that baltis should and is well priced at £8.55, while there was also no problem adapting a hearty Keema Madras (£8.55) by adding some fresh green chillies. If you’re a starter fan you’ll struggle to find tastier Lamb Chops (£4.25); for a large table of people who can think of a better way to start the communal evening than with a large of pile of these? By the end of the first bite I’d forgiven the staff for (what appeared to be) a deliberate policy of keeping people waiting at the entrance to ensure the front of house table are always occupied rather than filling up the empty places upstairs. In fact I was rather pleased because Briggate on a Saturday night is ideal for people watching. Coats are a complete no-no even as temperatures plummet. Instead boys seem particularly keen on tops so tight it looks like they’ve just got out the gym and girls on skirts so short that Am Kitchen’s very large Rotis (£1.10 each) would offer more cover. 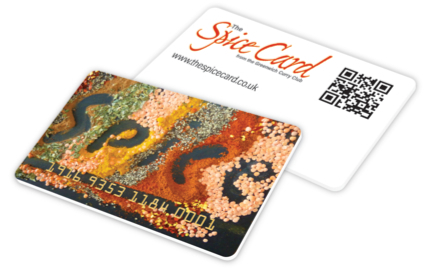 Where did that spice come from?